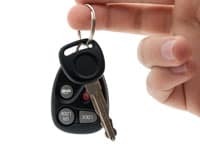 If you have lost all the keys to your Kia vehicle and do not know how to get another, contact us at Emergency Locksmith Adelaide as we are your go-to specialists for Replacement or Spare Kia keys. We have the expertise plus Automotive Locksmith Vehicles that are kitted with the right equipment and gear necessary to issue you any Replacement or Spare keys for your Kia vehicle. We will also supply a Remote or Remote key to enable you lock or unlock your Kia vehicle from a distance and at an affordable price too, compared to what you would be paying at a local Kia Dealer. To book an appointment with us, you could call our friendly customer service team at Emergency Locksmith Adelaide, or fill in your vehicle details – Model, VIN, Fuel Type, and Year – in our enquiry form to get an instant quote today!